Before I begin, I want to firstly state that this is not a comprehensive guide to the rules, regulations and technical aspects of Formula 1. This is an overview, a beginner’s guide, that will hopefully be informative without being boring. If you want a detailed guide, I suggest the official F1 pages on the subject. So, to begin, lets look at something that is, on the face of it, pretty obvious, but deserves an explanation anyway. There was a time, not that long ago, when it was possible to get through an entire F1 race on one set of tyres. It wasn’t necessarily a good idea, but if you looked after your tyres properly, you could make them last, thus eliminating the need for a time-consuming pit stop. Under current rules, teams are obliged to make at least one pit stop per race, and the tyres are designed to ensure that, at some tracks, you’ll need to make two or even three pit stops. The result is that tyres play a major role in race strategy. At some tracks, you might consider either a two-stop or a three-stop strategy, and both have their merits. A three-stop means you have an extra loss of time at the stops, but usually you have an extra stint on the softer, faster compound tyre. What do I mean by the softer tyre? At every race, two dry-weather (or slick) tyre types are made available (along with wet-weather tyres, just in case it rains). One tyre is designated the ‘soft’ or ‘option’ tyre, with the other being the hard or ‘prime’ tyre. Of the four types produced (super-soft, soft, medium and hard), the two picked for any given race are usually comparable (by that I mean, if the super-soft is paired with the soft, the soft with the medium, the medium with the hard). Both compounds must be used at least once, though how many times the teams subsequently use them is entirely up to them. What’s the difference between the softer and harder tyre compounds you ask? The softer tyres offer better grip, which in turn aids with cornering and traction, allowing a driver to take corners tighter and accelerate out of them quicker. This in turn aids the overall lap time. The drawback is that the softer compound has a shorter lifespan. It degrades quicker, and thus both its optimal performance and overall performance windows are shorter. Given the current rules on fuel (which I will come to in a moment), it is more beneficial to fit the softer tyre in the latter stages of a race, to take advantage of the better grip and a lighter car. The harder tyre is not going to offer as much grip, and lap times will be slower, but it’s possible to go longer between pit stops, and this can bring its own benefits. Under current F1 rules, teams are not allowed to refuel their cars, and can use a maximum of 100kg per race (though they do not have to use the maximum). This means teams must carefully manage their fuel flow rates. The engines can be ‘turned up’ to maximum power but this consumes more fuel, thus increasing the chance of running out and grinding to a halt mid-race (though not a single car retired due to running out of fuel in 2014). The Drag Reduction System (usually referred to as ‘DRS’) is a relatively new system introduced to F1 in 2010 to aid overtaking. The lack of overtaking on F1 had been a source of growing concern for F1 bosses, who were worried that the lack of action on track was going to drive viewers away. F1 had become quite strategic – with tyre choices and pit stops greatly affecting the outcome of races, rather than duels between cars. DRS makes overtaking easier, though it can only be used within designated activation zones. You have to be within one second of the car in front of you at a detection zone, and when you reach the activation zone you can then open up your rear wing and close in on the car in front. It doesn’t offer a guarantee of passing, but it certainly makes it easier! Drivers are not allowed to use DRS in wet-weather conditions, out of safety concerns. 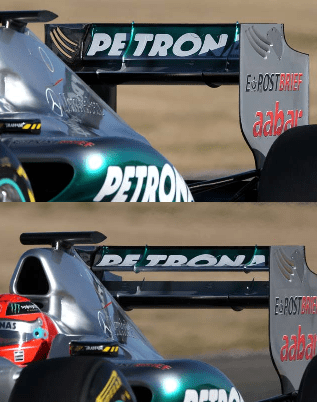 In Formula 1, downforce is the single biggest element of the car that affects performance. What is downforce? It is literally as it sounds – it is the force that pushes down upon the car, exerting a vertical force on the tyres, thus improving grip. Cars with good aerodynamic properties (such as the Red Bulls of 2009 and onwards) usually have good front and rear wing designs, and can exploit the car’s exhaust gasses in such a way that greatly helps glue the car to the road. It goes without saying that whilst downforce is crucial in modern F1, a good engine can still make a difference. The Mercedes of 2014 boasted by far and away the best engine on the grid, and combined with a fantastic aerodynamic aerodynamic package, was nearly unbeatable. The turbo-charged V6 engine was designed in such a way that Mercedes could then develop the car’s bodywork to a superior degree to any other team. At one stage, the engines in F1 were quite varied – some teams would have V8 engines, others V10s, and still others would have V12s. Current rules mean all teams must have V6 turbos. As mentioned earlier, all teams must pit at least once during a race because they must use both tyre compounds at some stage. Depending on the choices of tyre available and the nature of the circuit, teams will make two or even three stops, and the decisions over what tyres to fit, when to fit them, and how many stops to make can play a huge part in a team’s strategy. The gamble between pushing for longer on one set of tyres (you lose less time to the pit stop but could lose more time due to poor tyre performance) is one that the teams to weigh up. Cars are restricted to no more than 80km/h in the pit lane (at some tracks the limit is only 60km/h), owing to safety rules. Pit crews – who once wore no protective gear and were once always in the pit box, meaning the pit lane was crammed with people) are only allowed into the pit box immediately before they are due to perform a pit stop – and must withdraw again once the stop is completed. Crews now wear fire-proof gear and helmets, and one member of the crew must be present with a fire extinguisher, just in case. Before the race even starts, there’s the small matter of who is starting from where. 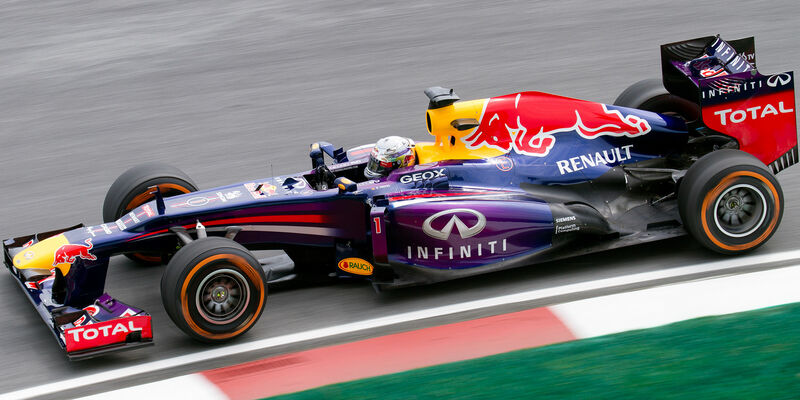 In Formula 1, qualifying is divided into three parts – Q1, Q2 and Q3. In Q1, all the cars can put in qualifying laps – in a 22-car grid, the slowest seven cars will end up being out of qualifying and fill grid positions 16-22, based on their time in that session. In Q2, the remaining 15 cars return to the track and the slowest five are eliminated, filling positions 11-15. The top 10 then compete for the final grid places. Here is where drivers and teams have to think strategically. The tyre you set your time with is the tyre you must start the race with, and once the car is set up for Q3, if you then take part in the session (it should be noted it’s optional, not compulsory), you cannot make any further changes to the car. It will go without saying that not everyone will agree with me when I say that the driver is the single most important part of the car. To some, it’s all about the teams and the cars, and the driver is almost incidental to the team’s success. However, without someone prepared to risk everything by stepping behind the wheel of the car, and without someone brave enough and skilled enough to push hard where others might not, the car is essentially one big, expensive, paperweight. A talented racer can make all the difference, and seeing real live people take on the challenge of F1 adds an important human element to it all. In order to drive an F1 car you must, before anything else, be able to demonstrate you can swiftly get out of the car should you need to. If you can’t manage this you won’t be allowed to race! Drivers wear fire-proof gear, and helmets are designed to be super-strong but also light, so as not to hamper the movement of the head. 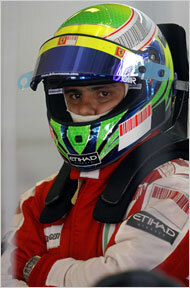 The drivers are also low down in the car, which minimises exposure and reduces the chance of a head injury. In 2009, at the Hungarian Grand Prix, Ferrari driver Felipe Massa sustained a blow to the head as a result of a piece of material coming off the back of the car in front. The helmet undoubtedly saved his life. It’s a far cry from the early days, when the ‘helmet’ was a leather cap and a pair of goggles! So there you have a brief overview of what goes into modern F1. There’s a lot more of course – the legion of mechanics, engineers, designers, admin staff and even caterers that make up an F1 team all have a part to play in the success of the team – and this little article barely scratches the surface – but with luck, it will pique some interest and you’ll check out more detailed F1 sites!